Even the mightiest cathedrals built by man will eventually succumb to sand. 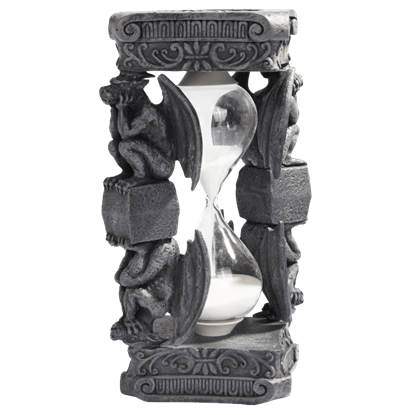 Let the historical architecture and gothic accents of the Gargoyle Pentagram Hourglass remind you to not waste a single grain of your precious time. 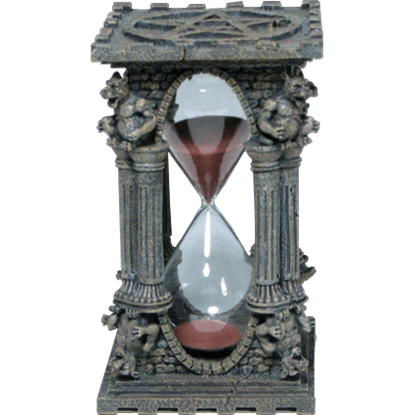 This gargoyle sandtimer is a great accent piece for your home. This sandtimer features four gargoyles supporting the sides of the sandtimer. 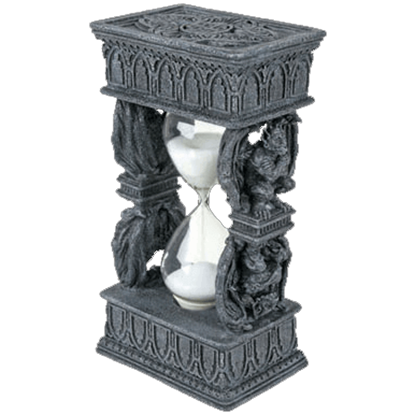 The gargoyle sandtimer has elaborate designs covering the sandtimer. 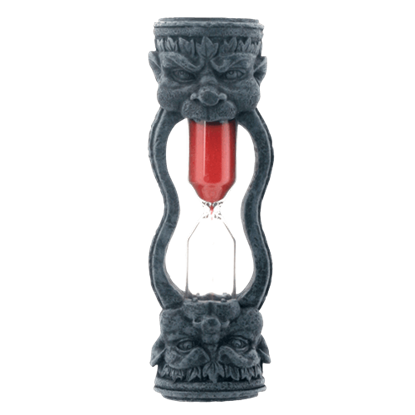 This small gargoyle sandtimer is a great accent for your home. This sandtimer features a gargoyles head on either end with the hour glass in its mouth. The sandtimer has Celtic knotwork designs on top of the gargoyles head. Stone sentries tend to have a lot of time on their hands, so it makes sense that they make great guardians for the sands of time. This Thoughtful Gargoyle Sandtimer utilizes four of them to create a truly impressive looking piece.